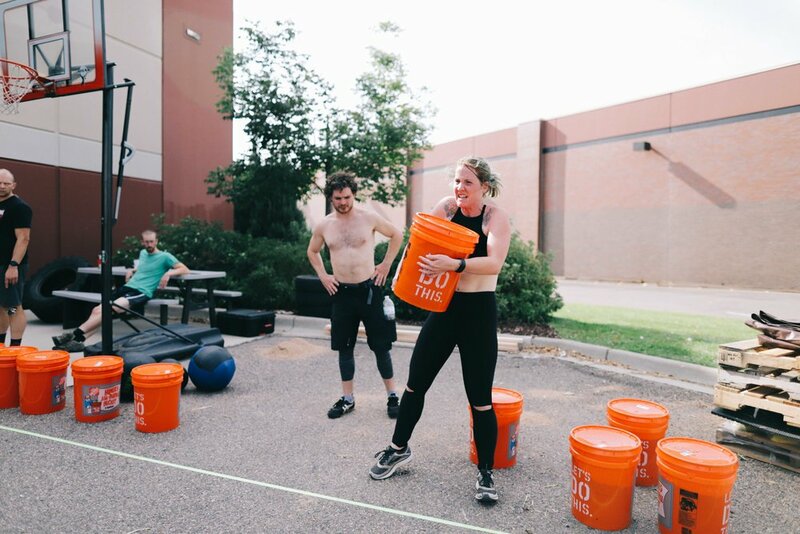 With 20+ Obstacles and 2500’ of dedicated indoor OCR training space alone, it’s the most fully-equipped Obstacle Course Race training center in the Denver metro. Get hands on training on 20+ Spartan style obstacles, combined with expert coaching to develop the strength, speed, endurance, skills and techniques for any obstacle a race could throw at you, as well as learning to run better in-between on any terrain, for any distance. We will soon be adding more classes and open gym hours to our OCR program (which WILL be included in our Unlimited OCR Membership), so if you are interested training with us on other days/times, please let us know what works best for you with this quick 2-question survey. One-part integrative, Functional Health and Medicine Practitioner; One-part Running Technique, Natural Movement, Obstacle Racing and Endurance Coach; and One-part ultra-distance mountain runner and competitive obstacle course racer. Though he has been educating and coaching in the field of nutrition, health and fitness for over a decade, Marshall only decided to start actually personally racing in 2014. In the 4 years since, he has seven-top 3 finishes in OCR races, eight-additional top 10 finishes, and has completed nine 50k or greater distance running events in the Colorado mountains. Learn more about Marshall’s racing background. Training focus will vary in each class so as to turn weaknesses into strengths, sharpen skills, train for any course distance, and make you obstacle proof! Intentionally programmed and periodized classes designed to build on athletic progress, rather than just randomized “workouts.” Pro coaching so that you can flow through obstacles and become an unbreakable runner — rather than always muscling and grinding through. Will include training the full spectrum of Intensities and energy systems (anaerobic, aerobic, lactate threshold, and everything in-between). As well as heart rate based training, breath-control and building adaptability under a variety of conditions, stressors, intensities and volume. Pro-tips for race day preparation, strategy and recovery, as well as an opportunity to race with your coach at local OCR events. Practice and play; learn to pace and push yourself, utilizing both race specific obstacles and extensive strength training equipment. Open Gym (for entire ProjectMOVE facility)— If the doors are open, it’s Open Gym time, as long as you don’t interfere with classes. Private ProjectMOVE OCR Facebook group for additional community suppport, Q&A, Coaching videos, tips and resources. *Personal Training clients w/ Marshall Thompson get unlimited all-access pass to ProjectMOVE programs, OCR included. Contact for details.